Interior Painting - MrFix finds you an experienced interior painter within 3h. Interior Painting - MrFix finds you an experienced interior painter within 3h. Need interior painting? Home improvement service MrFix! How do I request interior painting? Ik zoek een behanger in Amsterdam om in mijn slaapkamer behang aan te brengen op een muur van 450 x 240 cm. All MrFix rates are fair and transparent. MrFix has negotiated fixed rates with our partner painters: €50 per hour including VAT (9% only) and call-out charge for jobs that take less than a day. The rate for paperhangers and plasterers is €60 per hour. For jobs that take more than one day we recommend that you request a quote (fixed price), not only for maximum certainty but also because most painters offer a discount (often 10-20%) for bigger jobs. If you give sufficient information (e.g. via the WhatsApp group that MrFix creates for you) you may get an estimate or even a quote without the usual inspection visit: that would save you time and money. Now you may not need a painter again for several years, but the painter works with MrFix regularly. That means he will quote you a competitive price and do the job in the best possible way! Did you know that the Dutch tax authority helps keep interior painting affordable by applying the reduced VAT rate of 9% (instead of 21%)? See the rules, unfortunately in Dutch only. The paint jobs that MrFix arranges are often substantial, so your tax saving is substantial too! Please note: the low VAT rate only applies to homes older than 2 years and applies to both labour and materials.
. We all know that trends in interior design keep changing. And colours play a very important role in that. 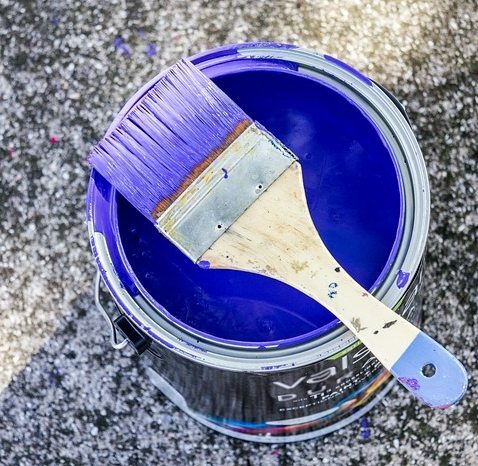 So update your living room, kitchen or bedroom by putting new fresh colours on walls, ceiling and woodwork. The wide range of colours (see these RAL codes) and kinds of paint make it hard to make the best choices. A mistake can cost a lot of money and time to correct. Nobody likes delays during a painting job, and certainly not during interior paintwork. So for choosing colours, kind of paint, glossy or satin, make use of the experience and knowledge of our professional specialists. They know what kind of paint fits best the surface type and usage. For further questions about interior painting rates see the Rates page or call us on 020-675 0333 (Mon-Sat 8.30-18h). The work of our qualified interior painters is covered by a triple guarantee: 1) the guarantee by the painter himself. 2) his liability insurance and 3) MrFix’s leverage over the expert. So you are in safe hands. Normally paint jobs are not urgent, but for urgent jobs you also can contact MrFix. MrFix has an interior painter ready for emergency situations 24 hours a day, also on weekends. We will connect you to the right painter for your urgent paint job within 3 hours, and often faster than that. Please note: there is a 50% surcharge for jobs that must start within 24 hours. Do you prefer to be out for a nice weekend while your living room, kitchen and bedroom are painted? Or do you want your office to be painted outside office hours? Our painters can do the job at night, during weekends or on holidays. Please note: there is a 50% surcharge for jobs that must start after 18h, on weekends or on holidays. Our qualified painters are ready to do every conceivable interior painting job in the West and Centre of The Netherlands quickly. We serve the whole western conurbation (the Amsterdam, Haarlem, The Hague, Rotterdam, Utrecht area) but also the surrounding parts of Holland, up to and including Eindhoven and Apeldoorn. The quickest way to request interior painting is via our web form and if you prefer you can also mail, call 020-6750333 (Mon-Sat 8.30-18h) or send a WhatsApp message to 06-15380087. Beside Interior painting MrFix can also arrange a qualified Handyman, Plumber, or Electrician. Need interior painting in your region? 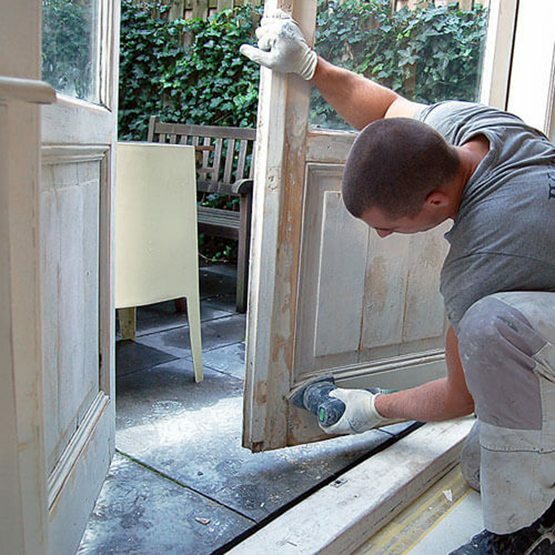 Whatever your home improvement job is, MrFix has the best network of experienced, reliable painters in Amsterdam, Rotterdam, The Hague, Utrecht and elsewhere in the West and centre of Holland, up to and including Eindhoven. Fill in the form, then we will match you as quickly as possible to the right interior painter, plasterer or paperhanger in your region.